The United States is slowing its plans to withdraw troops from Afghanistan because of a resurgent Taliban that's seeking to regain territory, President Barack Obama said today before a trip to Poland to attend a NATO summit on Friday. There are about 9,800 U.S. troops in Afghanistan, a number that the administration had planned to decrease to 5,500 by year's end. That figure will now be about 8,400 by the end of the year, Obama said. "The narrow missions assigned to our forces will not change," he said. "They remain focused on supporting Afghan forces in going after terrorists, but maintaining our forces at this specific level based on our assessment of the security conditions and the strengths of Afghan forces will allow us to continue to provide tailored support to help Afghan forces continue to improve." Flanked by Defense Secretary Ash Carter and Chairman of the Joint Chiefs of Staff Gen. Joseph Dunford, Obama said the security situation in Afghanistan "remains precarious" and that the Afghan security forces are "still not as strong as they need to be." "The Taliban remains a threat," Obama said. "I will not allow Afghanistan to be used as a safe haven." On May 6, 14 years after the United States entered Afghanistan, Obama became the U.S. president to have been at war the longest. His announcement all but seals an improbable legacy as the only president in American history to serve two complete terms with the nation at war. Obama said the decision to leave more troops in Afghanistan was reached in consultation with his military and national security advisers, members of Congress and Afghan leaders. He added that it "best positions" his successor to make future decisions about the involvement of U.S. troops there. "The decision I'm making today ensures my successor has a solid foundation for continued progress in Afghanistan as well as address the threat of terrorism as it evolves," he said. 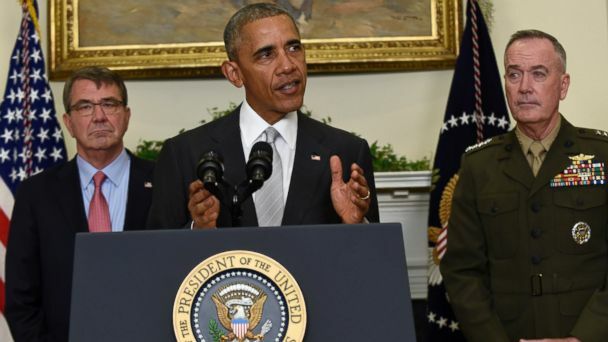 Obama said his decision "also sends a message to the Taliban and all those who have opposed Afghanistan's progress." "You have now been waging war against the Afghan people for many years," he said. "You have been unable to prevail. Afghan security forces continue to grow stronger, and the commitment of the international community, including the United States, to Afghanistan and its people will endure." Obama added that "the only way to end conflict and to achieve a full drawdown" of foreign forces from Afghanistan is "through a lasting political settlement between the Afghan government and the Taliban." "That's the only way," he said. "Afghanistan is not a perfect place. It remains one of the poorest countries in the world. It is going to continue to take time for them to build up military capacity that we sometimes take for granted. And given the enormous challenges they face, the Afghan people will need the support of the world for many years to come. "I firmly believe the decision I'm announcing today is the right thing to do for Afghanistan, the United States and our world," he concluded.